Rockstar Games' Red Dead Redemption 2 is on its way, and fans are already eager to get their hands on the second installment in the Western open-world series. Revealed in late 2016 for PlayStation 4 and Xbox One, Red Dead Redemption 2 improves on the original game with a new protagonist, story, and gameplay features, including significant improvements to the series' hunting mechanics and open-world mission system. Information on Red Dead Redemption 2 is still developing, as more features have yet to be revealed by Rockstar. But for fans that want to know more about outlaw Arthur Morgan and his gang, here's everything officially announced on Red Dead Redemption 2. Red Dead Redemption 2 is currently slated for October 26, 2018. The game was previously announced for 2017's second half, then delayed to 2018. Red Dead Redemption 2 launches for PlayStation 4 and Xbox One. No other platforms have been officially announced yet, although some speculate that a Nintendo Switch or PC version could appear down the road. Red Dead Redemption 2 serves as a "companion piece" to the original Red Dead Redemption, following Arthur Morgan and Dutch Van der Linde's gang as they journey across the American West. The game takes place in 1899 as the Wild West comes to a close, with Morgan and his gang fleeing from a botched robbery in Blackwater. As the Van der Linde gang struggles to stay together while both bounty hunters and U.S. agents track them down, Morgan and his partners in crime are forced to take sides as the group grows increasingly fractured. 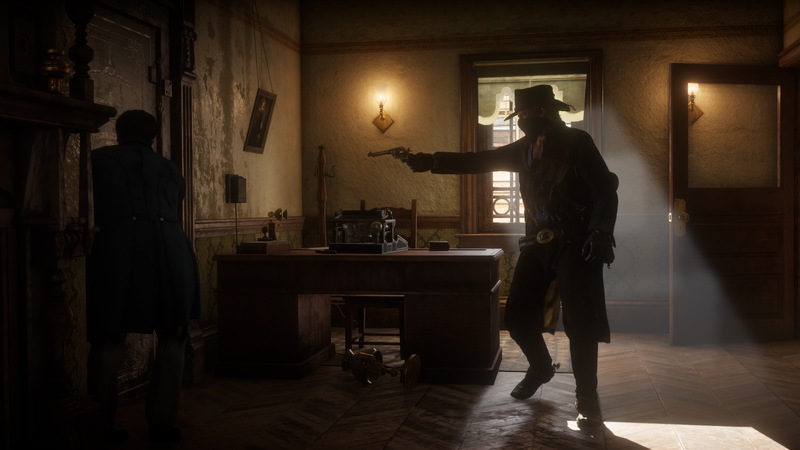 Alongside the sequel's direct connection to its predecessor, Red Dead Redemption 2 features several returning characters from the original Red Dead Redemption. 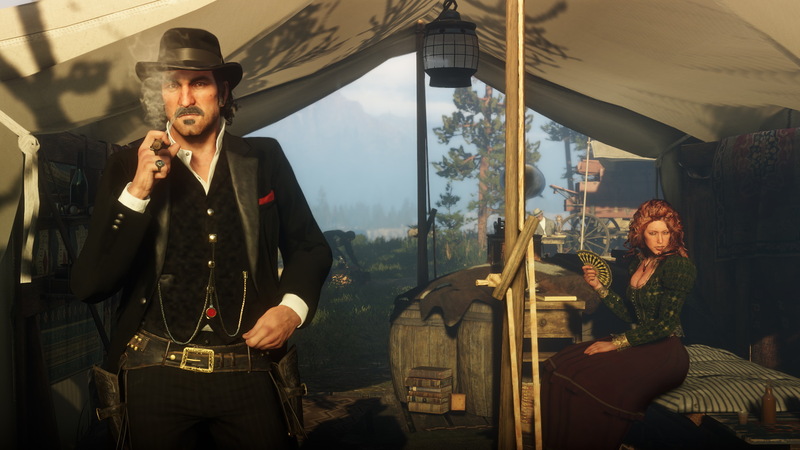 Dutch van der Linde is shown in the game's September 2017 trailer, and in a trailer from April 2018, Red Dead Redemption protagonist John Marston appears too, as well as Red Dead Redemption antagonist Bill Williamson. Expect more story reveals as the game draws closer to release. Red Dead Redemption 2 builds off the first game's setting and gameplay with enhanced graphics thanks to the PlayStation 4 and Xbox One's improved graphical processing capabilities. 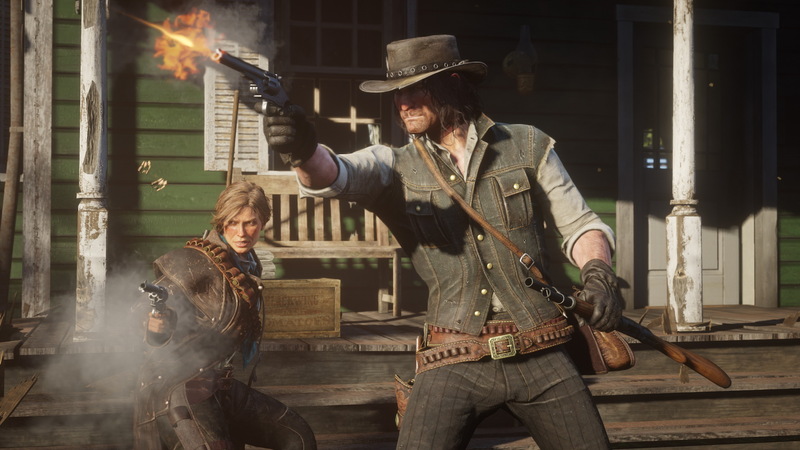 Open-world single-player gameplay will return, with Morgan and Dutch's Gang able to freely explore the world around them. Rockstar is purposefully designing the game so players can seamlessly engage in missions, even letting players choose how to approach each quest. "We try to give you options within a lot of these missions to choose how you approach it, whether you'll send your buddies in first or whether you'll go in first," Rockstar North Co-Studio Head Rob Nelson told IGN. Classic gameplay mechanics from Red Dead Redemption make a return too, like hunting and horse riding, but Rockstar has greatly expanded on some of these features. For one, Red Dead Redemption 2 promises a much more advanced horseriding system, where one's horse is treated more like a "companion rather than a disposable mode of transport," with players able to bond with their horse over time, according to IGN's first look. 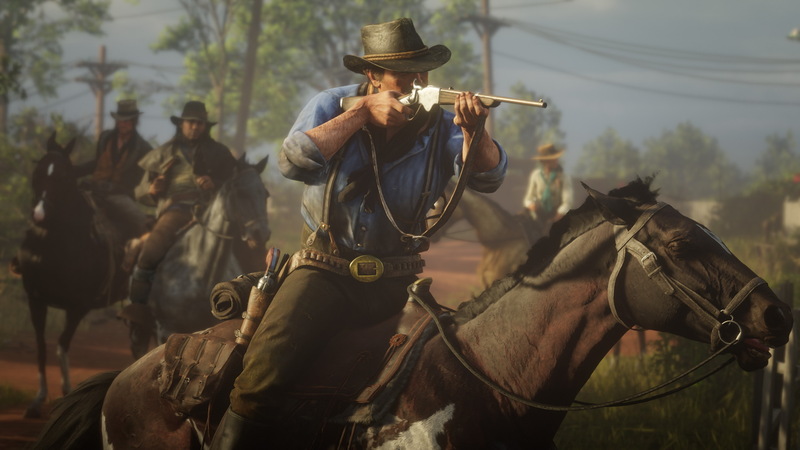 The slow-motion aiming system Dead Eye will also return, but this time, players can watch their long-distance shots play out in slow motion as well. Red Dead Redemption 2 also features a camp system, where Dutch's Gang regularly meets with one another. Each gang member helps collect resources to keep the group afloat, and Arthur Morgan will play an important role in sustaining the camp by hunting or looking for supplies in a nearby settlement. Hunting has seen some major changes too, and animal carcasses can rot if the player simply holds onto their kills for too long. Alongside the game's single-player improvements, Rockstar also promises an "online multiplayer experience." One report speculates that could include a battle royale mode. But for now, information on Red Dead Redemption 2's multiplayer gameplay remains limited while Rockstar Games continues unveiling more information about the title's single-player features. Red Dead Redemption 2 is being developed in the Rockstar Advanced Game Engine, the same engine used to power the original Red Dead Redemption, Grand Theft Auto IV, and Grand Theft Auto V. Unlike previous Rockstar titles, Red Dead Redemption 2 will be created by every Rockstar studio working together and introduced as a Rockstar Games Production, IGN reports. Red Dead Redemption 2 was announced in October 2016 and planned for a fall 2017 release, but Rockstar revealed that the game would be delayed in May 2017. According to an official post, Rockstar wanted to bump the game's launch date in order to optimize Red Dead Redemption 2 for current-generation consoles. 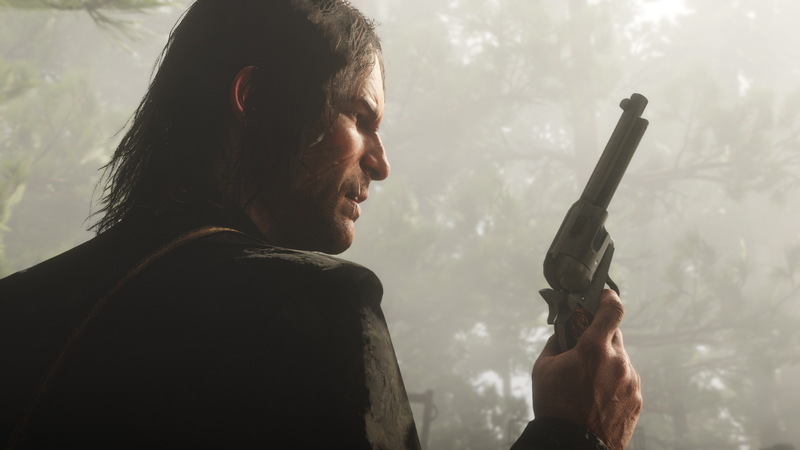 "This outlaw epic set across the vast and unforgiving American heartland will be the first Rockstar game created from the ground up for the latest generation of console hardware, and some extra time is necessary to ensure that we can deliver the best experience possible for our fans," Rockstar wrote. Rockstar has since delayed the game yet again to Oct. 26, 2018, and Red Dead Redemption 2 is still expected to launch on PlayStation 4 and Xbox One in October. This story is updated regularly to reflect new information.